Here are some ukulele related photos and some of my favourite clips I have selected. Flickr. I've selected some of my favourite ukulele clips to share with you. 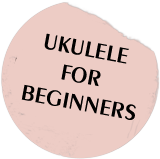 - I lead Norwich Ukulele Society. This is us busking in Norwich one sunny afternoon as a fundraiser. - I’ll Be Seeing You Again.